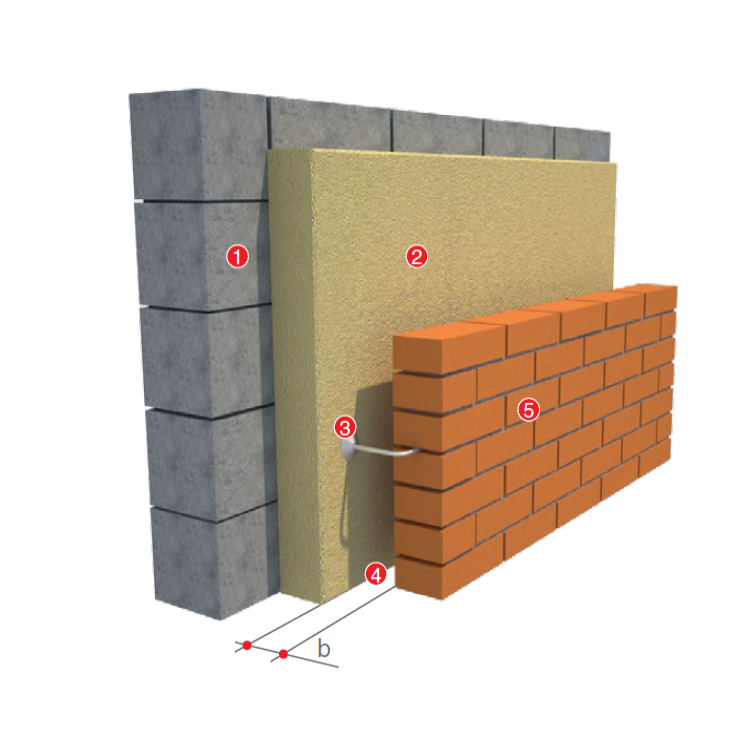 Three-layered brickwork thermal insulation is most common in private construction. Izovat thermal insulation boards should be fixed by anchores. 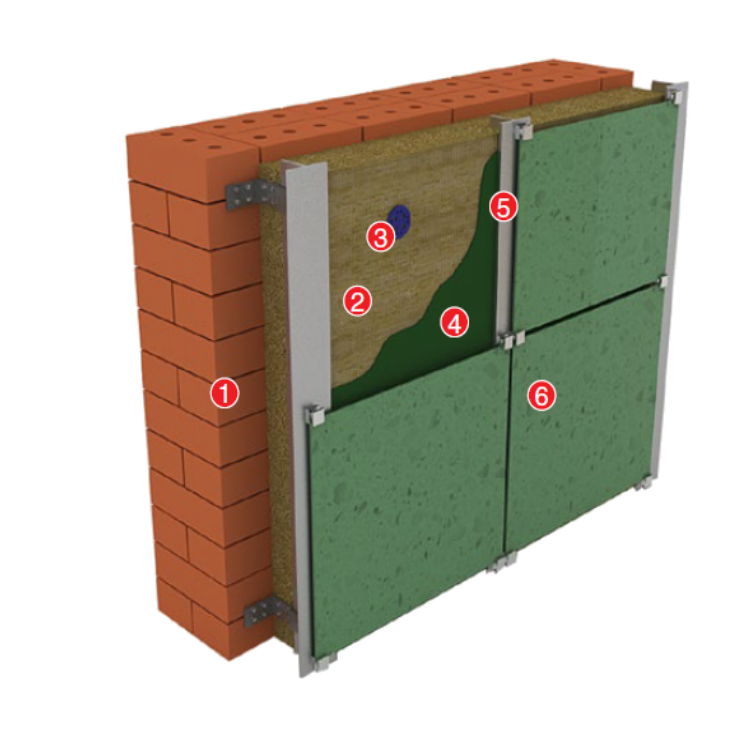 An air interlayer should be present between the outer wall and insulation not less, than 40mm. 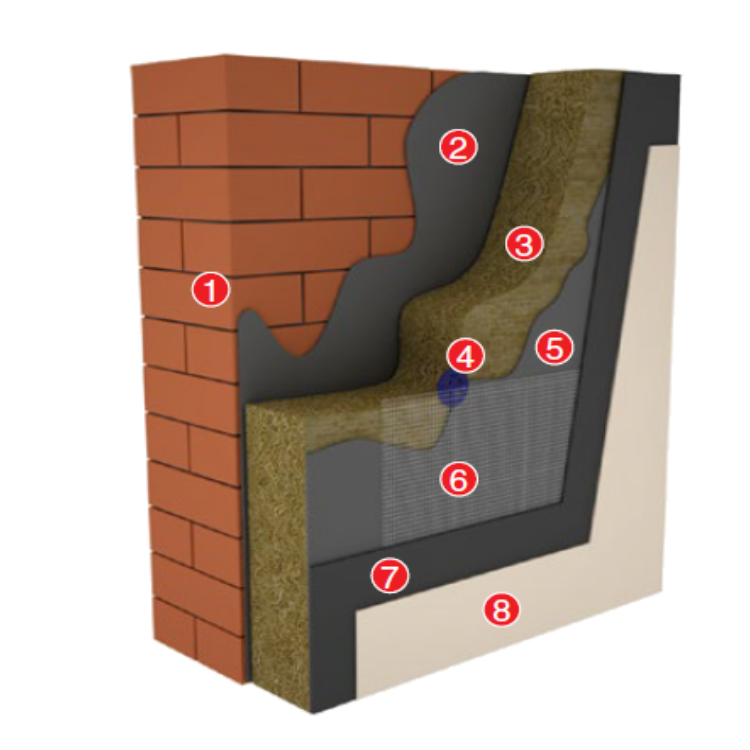 Insulation of facades with facing industrial elements and ventilated layer arrangement (ventilated facades) – is the most technological system of Insulation. Due to the wide choice of finishing materials many architectural solutions can be implemented. Single-layer solution is formed by Izovat 65, Izovat 80 or Izovat 80 FG. Outer layer of the double-layer solution is formed by Izovat 80 FG, Izovat 80 FG, inner layer is formed by Izovat 40. Izovat 80 FG insulation boards are covered with the glass fiber. They don`t need extra wind-shield and are characterized by high resistance to degradation. Plaster finished facades insulation is the most economically benefit system of thermal insulation. at least 5 mm before painting the surface.